When I finished reading Red Mercury, I knew I’d read the second book about the adventures of Major David Jones and Captain John Kowalski. 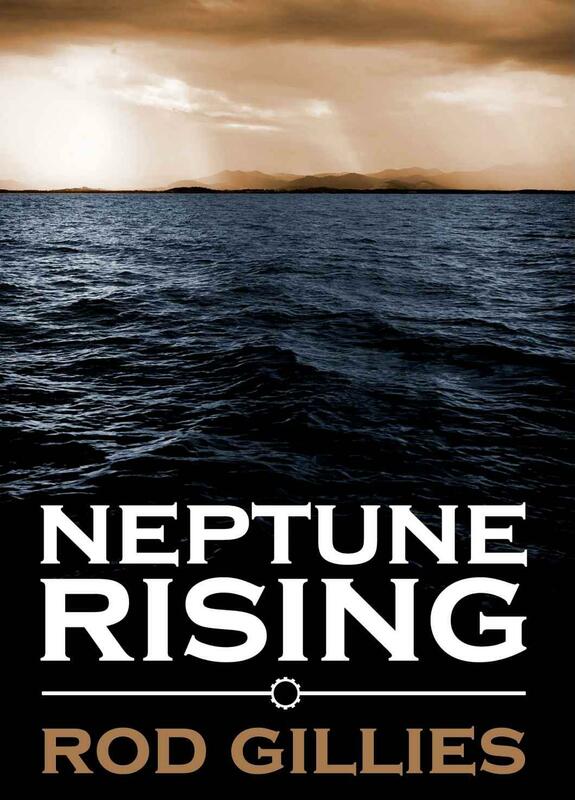 Neptune Rising is even better. It tells the story of a previous mission of the duo, but it is not a prequel. You don’t need one to understand the other. This one is a little bit longer, around 45,000 words (Red Mercury was 35,000) and there is more character development. Both books share a similar structure: a brief prologue, a quick briefing with Jones’ boss, and off he goes. Only that this time, instead of Murmansk, it’s the Caribbean—Cuba to be precise. The tropical island has become a protectorate of the United States after “the Reds” sank the Maine. Jones has come to Havana to meet with Kowalski, but their real destination is Tortuga, which has been “a pirate stronghold for near three hundred years”. As soon as Jones lands on Cuba, but before the real action begins, Gillies successfully creates a suggestive tropical atmosphere with a few well-places sentences. However, I would have preferred a proper Spanish spelling for sí, señor, and señores instead of their accepted anglicized forms, because a Cuban saying “senors” sounds odd to me. So what about the real action? I want to share some thoughts about this without getting into spoiler territory. No regular soldier on either side envied the men who rode the walkers, despite their elevated position and heavy armaments. The steel monsters always drew fire in any battle – magnets for artillery and aerial bombardment, resulting in terrible casualties amongst the crews. The walkers were damned impressive in a parade, and Jones knew the top brass revelled in their mechanical power, but he had seen too many of the contraptions blown to shrapnel when a round punctured their huge boilers. My second concern came when I realized that our two heroes were about to infiltrate the legendary pirate haven that had preserved its independence for three centuries against all flags. This could have easily degenerated into a James Bond parody. The pair, predictably, fail to go unnoticed but, again, Gillies keeps things within certain limits. Interestingly, after these two books, most of the big things in this universe that Gillies has created remain largely unseen. We’ve seen very little of the war that’s devastating Europe and even less of Kowalski’s non-US Florida. How long will “Lenin and his chums” keep “sitting firmly on the fence” while Britain and France fight the Kaiser’s armies? OK, based upon your recommendations, I am getting both of these books. I look forward to reading them! I just wanted to say thank you so much for the reviews you’ve given Red Mercury and Neptune Rising. I really appreciate you taking the time to read them (let alone review them), and I’m delighted you enjoyed them both.